Lymphoproliferative disorders (LPDs) can develop in patients treated with methotrexate (MTX) and usually respond well to MTX withdrawal. Mucosa-associated lymphoid tissue (MALT) lymphoma is a relatively rare type of MTX-LPD. The development of MTX-LPD in the orbit has not been previously described. We here report a case of orbital MALT lymphoma that disappeared after MTX withdrawal in a patient treated with MTX for rheumatoid arthritis. A 78-year-old woman who complained of swelling of the left upper eyelid had been treated with MTX for >8 years for rheumatoid arthritis. Slit-lamp examination revealed a temporal subconjunctival mass, salmon pink in color, in the left eye. Fundus photographs also suggested the presence of a temporal tumor in the left orbit. [18F]Fluorodeoxyglucose positron emission tomography-computed tomography revealed highly integrated lesions in the left inferotemporal orbit and a left external iliac lymph node, a left obturator lymph node, and an inguinal lymph node. Pathologic analysis of a tumor biopsy specimen showed small- and medium-sized lymphocytes positive for CD20, MIB-1, and bcl-2 and negative for CD10, CD3, bcl-1, IgG4, and EBV-ISH. On the basis of these findings, we diagnosed the tumor as MTX-induced MALT lymphoma. 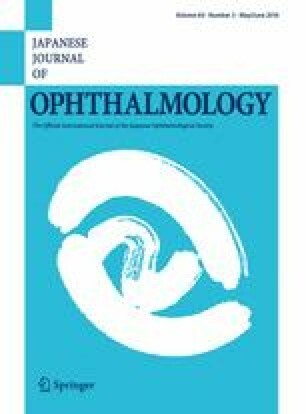 The subconjunctival and orbital masses disappeared gradually over 10 months after MTX withdrawal and did not recur within 2 years. This case of orbital MTX-LPD suggests that the possibility of MTX-LPD should be considered even for ocular tumors in patients treated with MTX. Y. Kobayashi, None; K. Kimura, None; Y. Fujitsu, None; K. Shinkawa, None; H. Muta, None; K. Sonoda, None.